Recently Steve Alcorn of www.sasquatchscoop.com and myself released the "Glasser Bigfoot Photo". The photo was brought to Steve's attention by a person in the bigfoot community who is involved in the paranormal field as well, where they came to know Norm Glasser. The photo itself made its way to several individuals and forums by way of several different individuals, including Norm Glasser. Everyone passing the photo around, other than Norm Glasser, were doing it with the intentions of getting others opinions on what it might be. Norm of course knew what the photo was, so one would assume he was passing it along to try and drum up some attention. Glasser himself stated that he had at one time even sent the photo to Josh Gates of the television show Destination Truth. In hindsight an obvious attempt at garnering publicity for the photo. It was by way of Steve Alcorn that I received the photo. Steve and I immediately began discussing the photo, pointing out various aspects of the photo, and beginning our own investigation into Norm Glasser and trying to find a match for the photo subject. In fact we had sat on the photo for nearly a month or so before deciding to ultimately release it. Our hopes were that even though we were unable to locate anything that matched the subject in the photo, someone would recognize it if it was out there. We knew there were only two possibilities which we discussed at great lengths. Either the photo was a fake, some sort of sculpture or display piece in a glass case or behind glass, or it was something amazing. After Steve was able to conduct an interview with Glasser, it pushed us even more to release the photo publicly. The interview, I felt, went rather well. At no time were we able to find where Norm had any sort of dubious past in the paranormal field. The photos he produced were no different than any other typical paranormal photos, left up to speculation and opinion. There was never anything discovered that showed any sort of manipulation or fabrication in his photos. The man himself was friendly, down to earth, and very open about his story and how the photo came to be. So here we have this older gentleman, with no background of hoaxing, who had never really became involved in the bigfoot field, with an in depth and extensive story as to how the photo came to be. When looking at the bigger picture, Steve and I felt that there could possibly be something to this photo. So in a final "Hail Mary" attempt, we released the photo. After releasing the photo, in less than 24 hours, we had our answer. The photo was a hoax. A personal photograph taken by Norm of a display known as the Sugar Flat Road Creature. 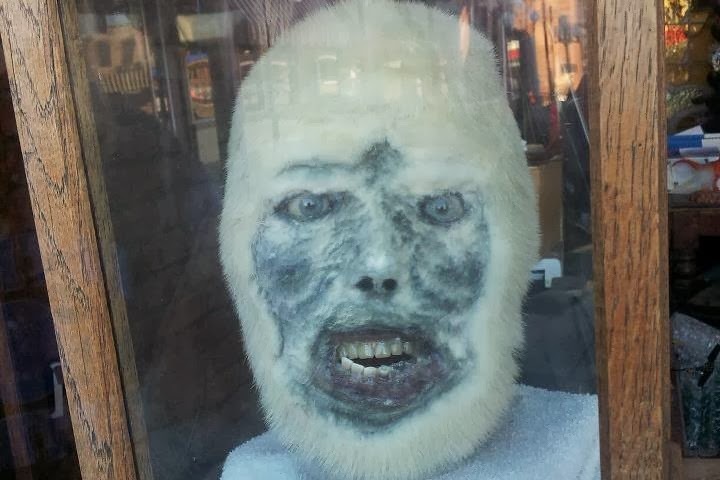 A strange "head" in a glass case with a mysterious background story put on display in Tennessee. 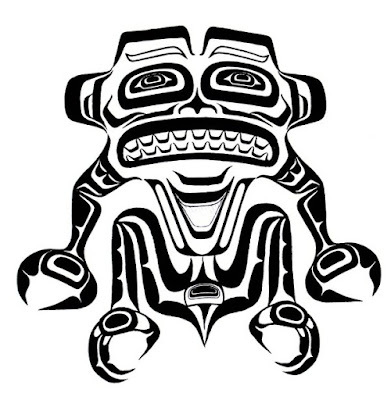 A bigfoot investigator by the name of Adam Bird discovered the image by chance, and passed along the information until it eventually reached us. Once again, our gratitude goes out to Mr. Bird. While the general consensus of the bigfoot community was that the image was some sort of staged hoax, the explanations varied greatly. It wasn't until seeing the Sugar Flat Creature head that we had an exact match, and released the information immediately. We could have left it at that. Case closed. It just didn't feel right though, to leave it alone with the knowledge that it was a match, and therefore a hoax. Steve and I want to finish this out. 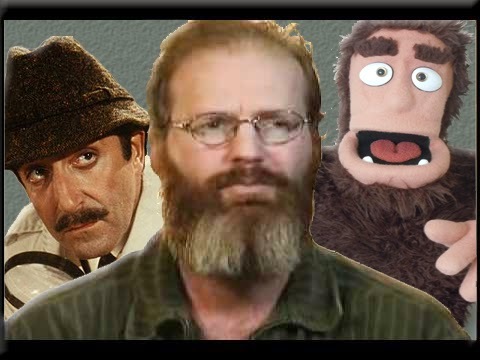 We feel that Mr. Glasser, while being busted in the bigfoot community, told his story with such ease and such detail, that he has most likely been committing hoaxes for years in the paranormal field. How much damage has he caused over the years? Not only that, but it is a valuable learning experience to get the entire story behind the hoax. To dissect it to the point that we can see how the mind of a hoaxer works. So we began our second phase of investigation into this story. Norm Glasser had openly stated that he likes to travel around the country in his paranormal adventures, visiting various locations and attractions along the way. In fact in one post Norm mentioned being in Nashville, Tennessee. Nashville sits right down the highway from the location of the Sugar Flat head. During the revelation of the true source of the photo, an article was found by Cindy Bowers discussing the display, who owned it, and where it could be found. I went back and re-read the article, noting that the owners of the display were closing shop, and that a woman by the name of Amy Petulla was interested in either purchasing or leasing the display for a business she was planning on opening in hopes that it might attract visitors. The business she was opening revolved around guided ghost tours. Ghost tours, you don't say? I contacted Amy Petulla, owner of Chattanooga Ghost Tours, Inc. who had the Sugar Flat Road Creature head on display between February and July of 2013, and asked if she was familiar with Norm Glasser. She responded enthusiastically yes, that they were excited to have had Mr. Glasser as a guest on their tour this past summer, and that she remembered him because he had been very interested and excited about the Sugar Flat Road creature exhibit, which he photographed extensively, and even discussed purchasing the head. Photographed extensively, you don't say? This is direct confirmation that Norm Glasser deliberately orchestrated this hoax from the very beginning. From taking photographs with specific angles, to creating an entire history of interest and back story to what had taken place. 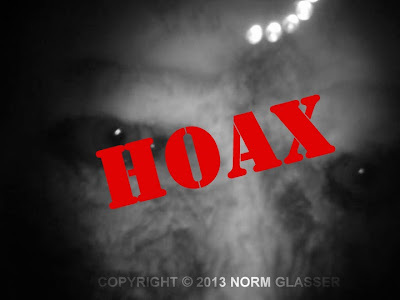 It is my opinion based on this information that Norm Glasser, while may not have traveled there with the specific purpose of creating hoax, saw an opportunity once he was there and immediately ran with it. This was not a whim, or a random practical joke. The photographs were taken with the specific intention of using them for a hoax. This investigation is not over. As Steve and I uncover new information it will be released. 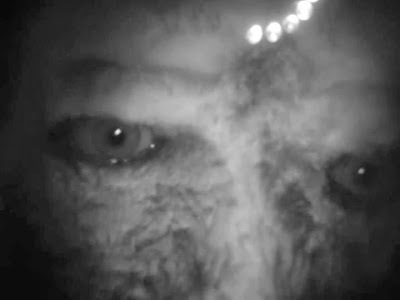 Steve has spoken with, and has discovered several other victims and leads within the paranormal community as well. It is our intentions to see this out to the end, until the entire story is known. If by chance you find yourself in Tennessee, or plan on being there, check out the Chattanooga Ghost Tours in Chattanooga, Tennessee. The Sugar Flat Road Creature exhibit is no longer there, but it has been replaced with a hologram exhibit of the head, that tells the legend behind the creature which has circulated since the 1980's. Minus the Norm Glasser part. Chattanooga Ghost Tours Inc. was named one of the top ten ghost tours in the U.S. by Tripadvisor, and maintains a curiosity shop that contains a number of oddities to check out. You can read more about the Sugar Flat road creature and the ghost tours at their website www.chattanoogaghosttours.com and offer both standard ghost tours and ghost hunts for those who prefer a real investigation of the paranormal. everyone just sees dollar signs. it's to bad but that's humanity! no wonder sasquatch hides from man! By studying the methods and motives of Norm Glasser, you might better understand the motives Rick Dyer and Tom Biscardi. Conversely, by also studying the methods of high profile skeptics like Karl Rose, Sharon Hill, Daniel Campbell, and Ben Radford, who consistently ignore or twist the evidence that somehow results in their own publicity, you may better understand their motives.